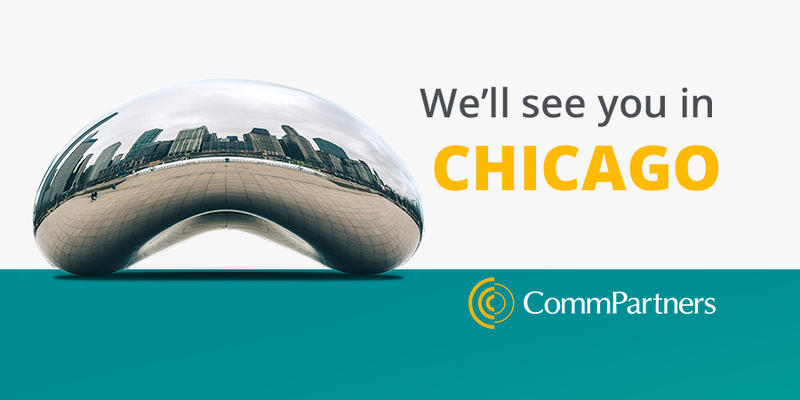 We’ll see you in Chicago for ASAE Annual! CommPartners is excited to once again be exhibiting at the 2018 ASAE Annual Meeting & Exposition from August 18-21, 2017 in Chicago, IL. Learn more about CommPartners and our offerings from our onsite staff, Aubrey Mellos, Meghan Gowen, and Sam Hirsch. We have launched some pretty amazing learning sites over the past year and will be spotlighting our latest initiative with Tracy King of InspirEd and Aaron Wolowiec of Event Garde, Engaging Learners, on Sunday August 19th, 12:15 – 1:15pm live from our booth. They will even be sharing a few tips and best practices for training your speakers and engaging your event attendees. If that wasn’t enticing enough, we will also have games, prizes, and chocolate so be sure to visit us at Booth #234! We will be on-site for one-on-one meetings to further explore our services, simply catch-up, or to view a demo. You can arrange a meeting by visiting the Attendee Service Center or contact us directly at info@commpartners.com. Are you ready for a night with the stars? 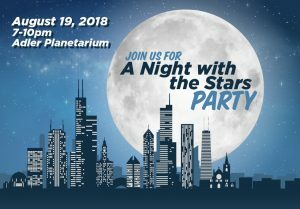 We are co-hosting an exclusive party with Higher Logic and other leading industry partners on Sunday, August 19th, from 7-10pm at Adler Planetarium. This event also features drinks, light hors-d’oeuvres, and access to two exhibits, Mission Moon and Our Solar System. Learn about America’s first steps into space, the women behind Hidden Figures, and the planets, moons, and asteroids that orbit the sun. Your colleagues are welcome, so bring them with you! We look forward to connecting with you in Chicago!